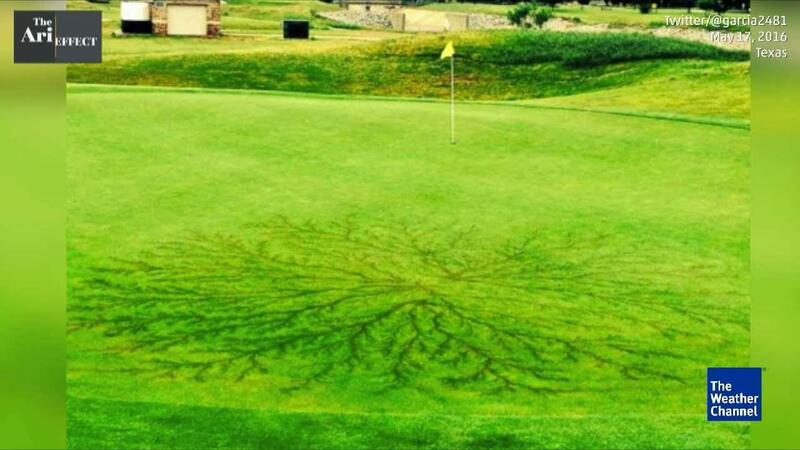 The Weather Channel explained: "When lightning strikes earth, it branches out along the ground which, in this case, happened to be a green. These currents fan out from the strike center in a tendril pattern. A lightning bolt can be fatal up to 100 feet away from the point of the strike." Rick Tegtmeier, the Director of Ground for Des Moines Golf and Country Club posted on his Twitter account that the cup where the lightning struck was completely melted. The Weather Channel also said that the lightning heat must have been brief, but extremely intense to produce a pattern like this one.